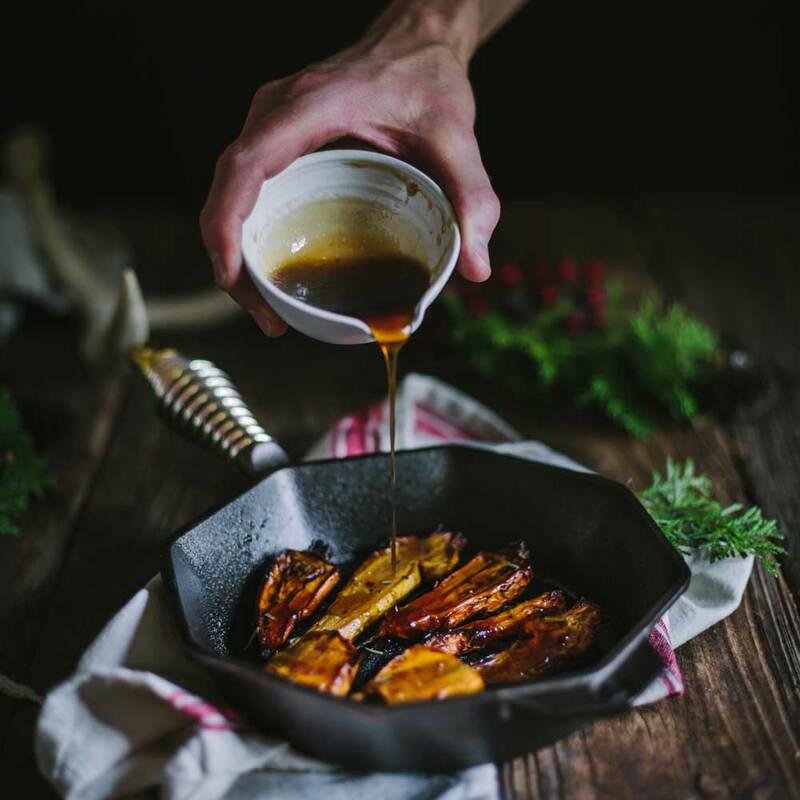 Maple Balsamic Roasted Carrots with the FINEX 8″ Cast Iron Skillet | FINEX Cast Iron Cookware Co.
We’re celebrating the return of autumn today with this fantastic maple balsamic roasted carrots recipe by Eva Kosmas Flores. This easy side dish is sure to become the star of your next meal. The even cooking and ingrained flavors of the skillet accentuate the natural flavors of the carrots and heighten concentration and browning. Preheat the oven to 375 degrees Fahrenheit. In a medium bowl, whisk together the maple syrup, vinegar, and olive oil until combined. Toss the carrots with half of the maple syrup mixture, then toss with the salt and rosemary until coated. 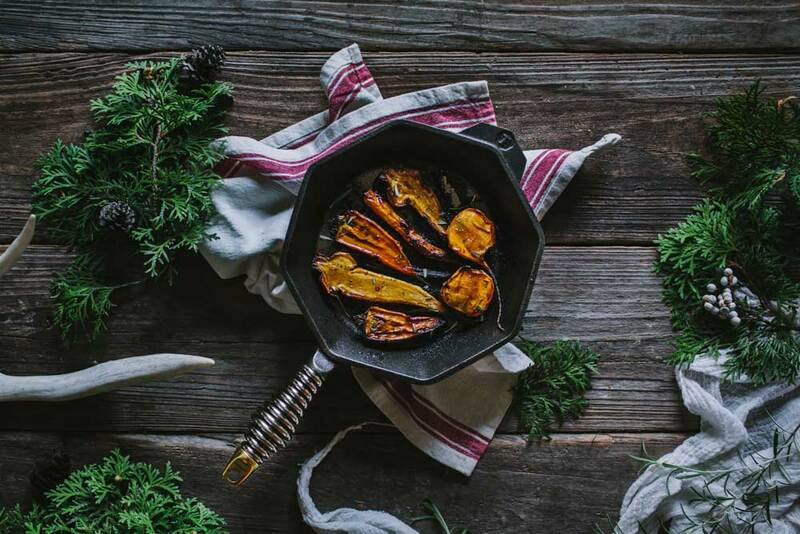 Place the carrots in a well-seasoned medium cast iron skillet, we used the FINEX 8″ Cast Iron Skillet, interior facing up, and place them in the oven. Roast for 20 to 40 minutes, depending on the thickness of the carrots, or until the edges of the carrots are a deep golden brown and the carrots have wrinkled slightly. Remove from the oven and drizzle with the remaining maple syrup mixture before serving. 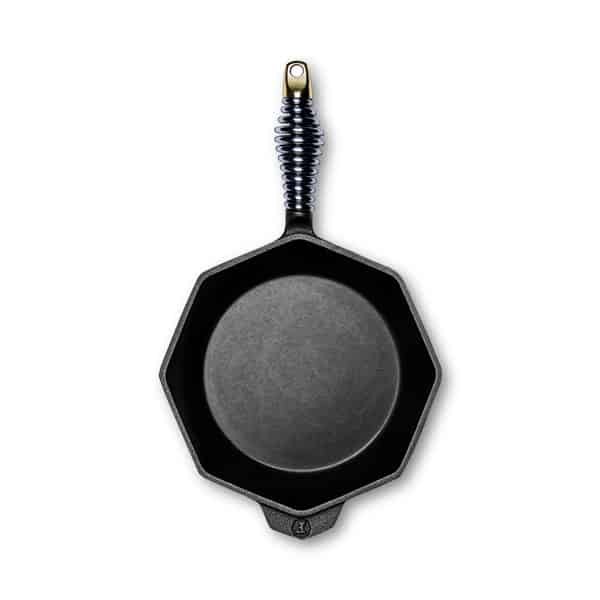 Our pans provide a beautiful presentation straight to the table. After you’ve removed them from the oven, set them on the table and the dish will stay warm for about 10-15 minutes after. They are more forgiving for timing large holiday meals.